About two weeks ago we took a week-long winter vacation and traveled in the central region of Chile. 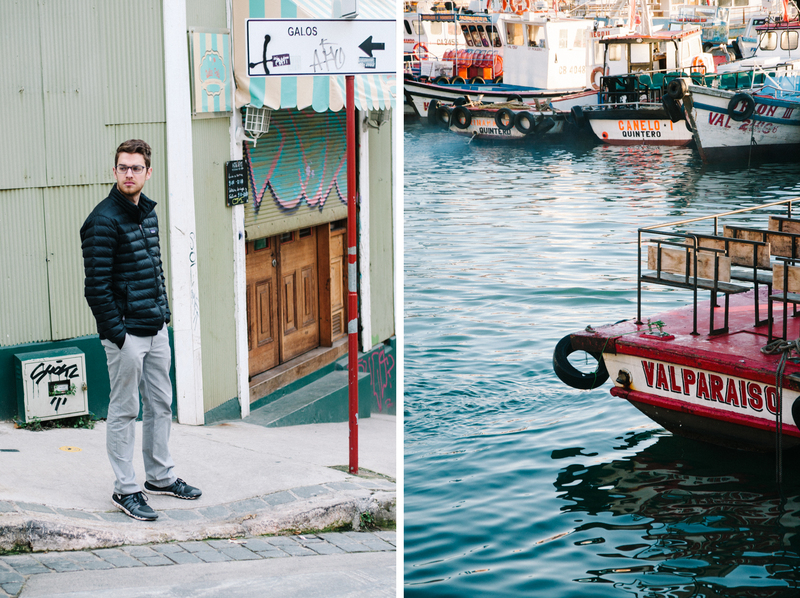 One of our stops along the way was Valparaíso, a coastal town not too far from Santiago. 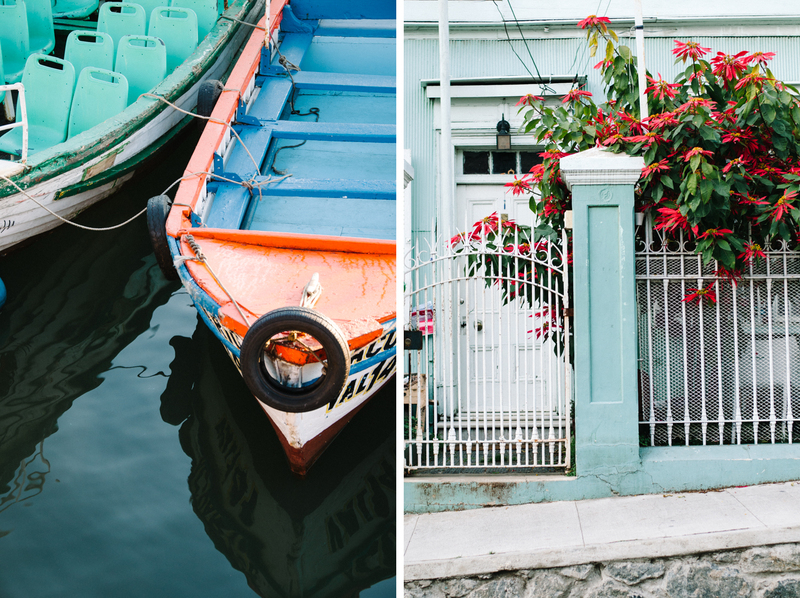 When you arrive in Valparaíso it is as if you have traveled to another country entirely. It's unlike anywhere else I have been in Chile, or anywhere else in the world for that matter. 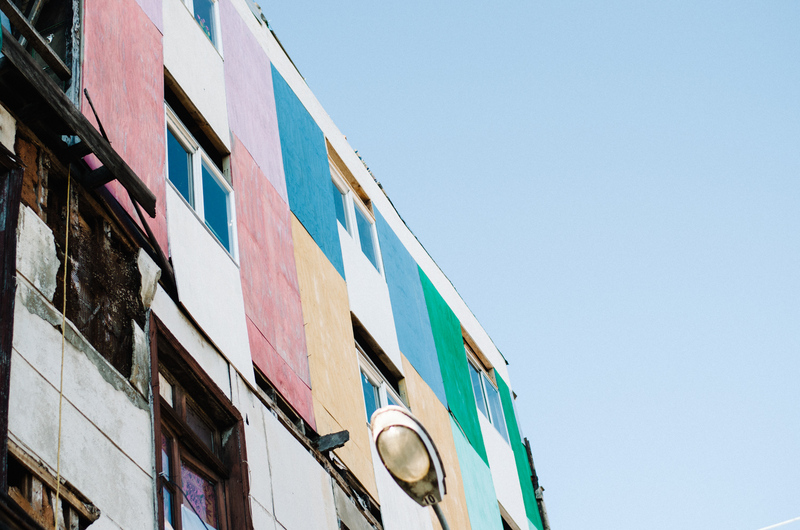 The town is filled with quirkiness and is most known for it's abundance of street art that covers almost every building. It's sensory overload, in the best way. We spent our short time there just wandering around, up and down all the hills, taking it all in (that and eating a lot). 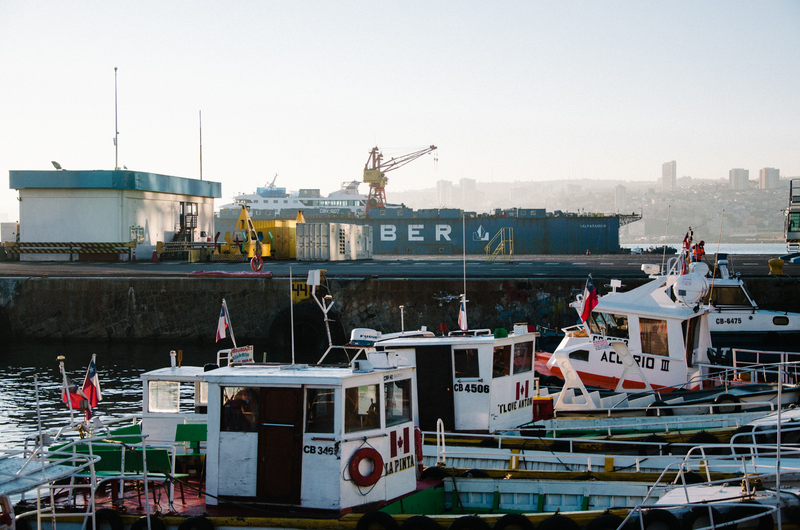 The port of Valparaíso, although less talked about, is an important part of the city's history. 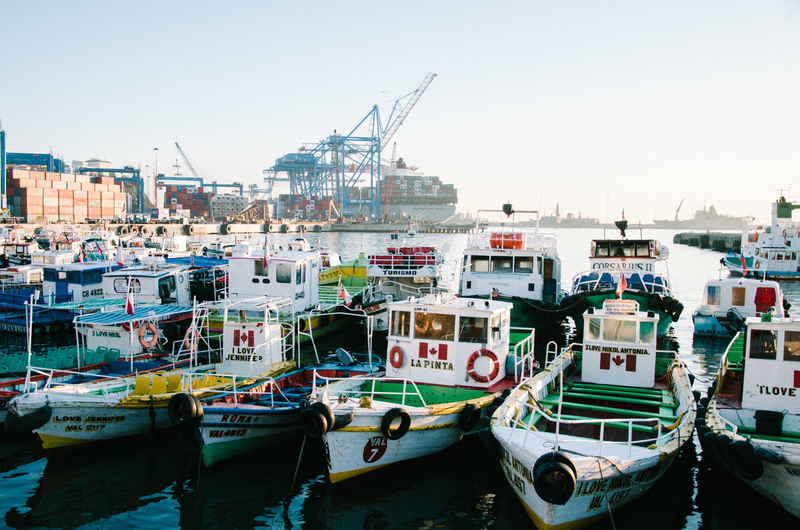 In the early 1800's the city's harbour opened the possibility for international trade and was a major stopping point for ships making their way around South America. 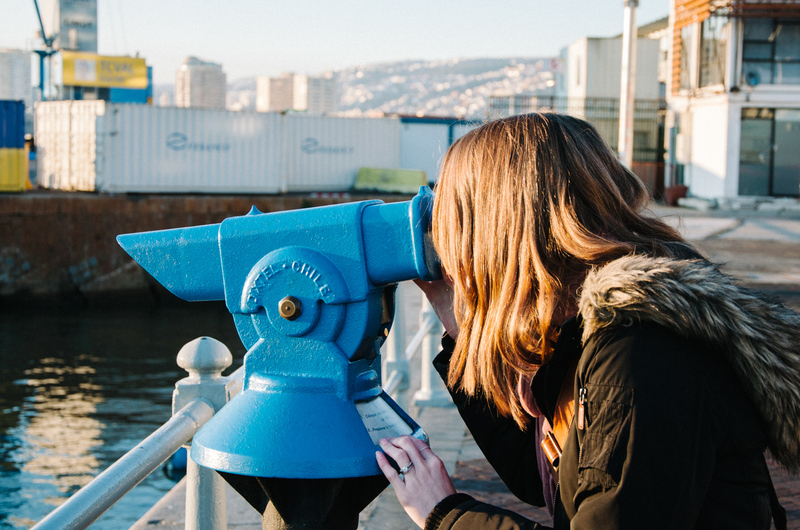 Although the impact of the harbour has decreased over the years, you can still feel the sense of life it brings to the city from its shores. 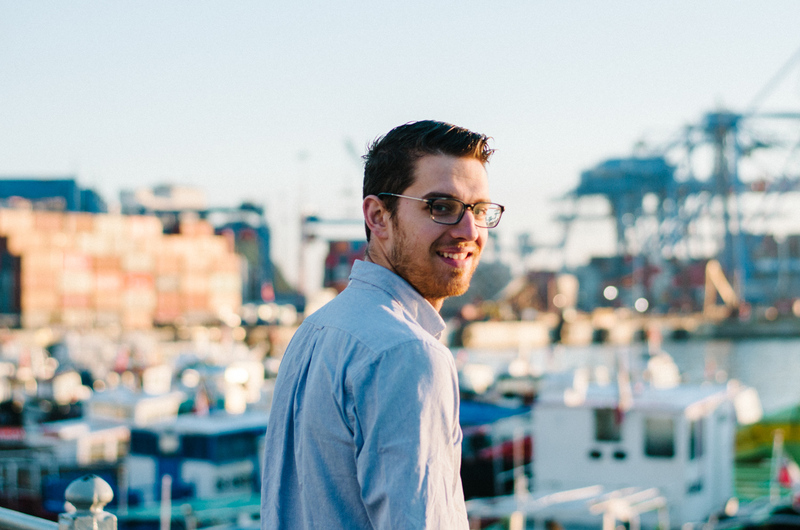 We got up early one morning to watch the boats coming and going and got to be a part of the awakening of the city.